Microsoft has begun rolling out their latest update for their present Desktop Operating System, Windows 10. 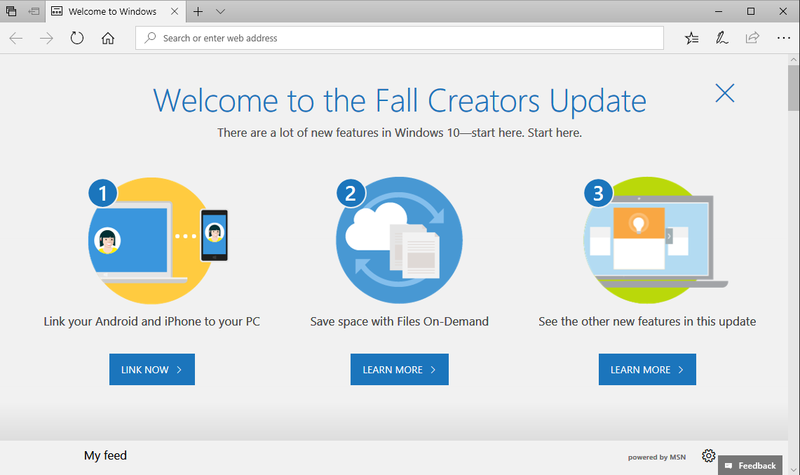 This update is named as Windows 10 Fall Creators Update. Microsoft is planning to roll out the update in a phased manner. But if you cannot wait for the update to arrive you can jump the queue. In this article we shall see how you can install the update straightway. Mixed Reality Experience : This is the Microsoft Version of Virtual Reality. To enjoy the immersive experience, one has to buy compatible Head Sets or VR sets from various manufacturers. Of course the PC or hardware should be able to support it. Photos App : Microsoft has revamped the photo app to allow creation of stories with photos and videos and effects. Link your Android or Windows Phone to your PC : This feature has promise to become indispensable. Microsoft Store and Edge Browser : Got a little better with a few enhanced features. OneDrive Files On-Demand : Microsoft has been running a cloud based file storage system for some time now. This service has just got better with sync across all devices. This means that all files will be visible, but they will actually available only after you download them. This will help free up space on devices. Plus much more like improvement to security and so on. Two options are available in this page. 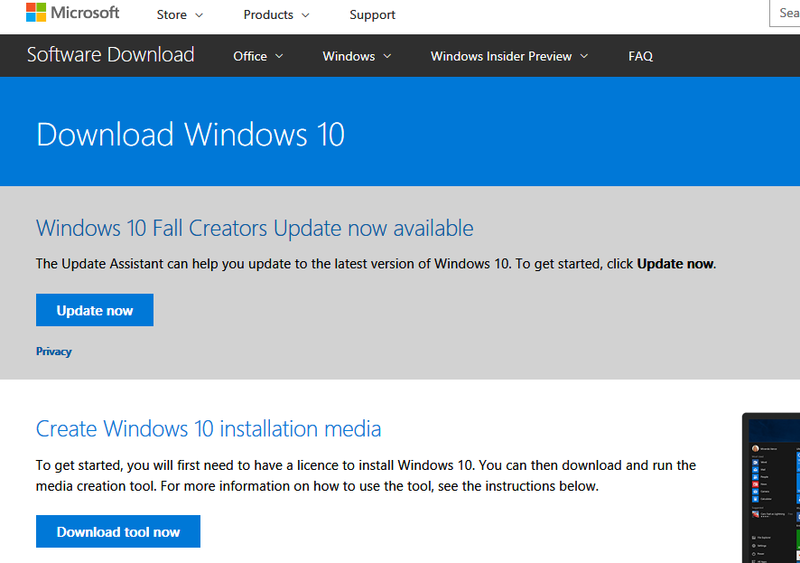 Create Windows 10 installation media and the Update Assistant. 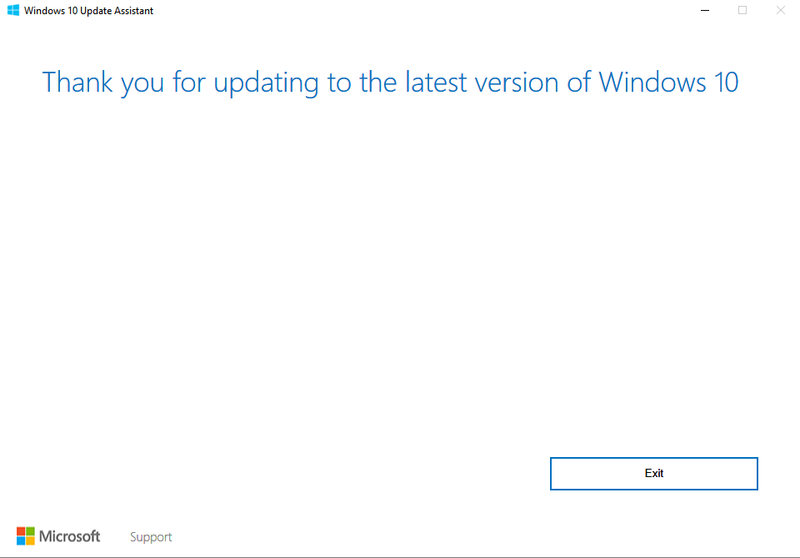 Update Assistant installs on your PC and literally walks you through the installation process. 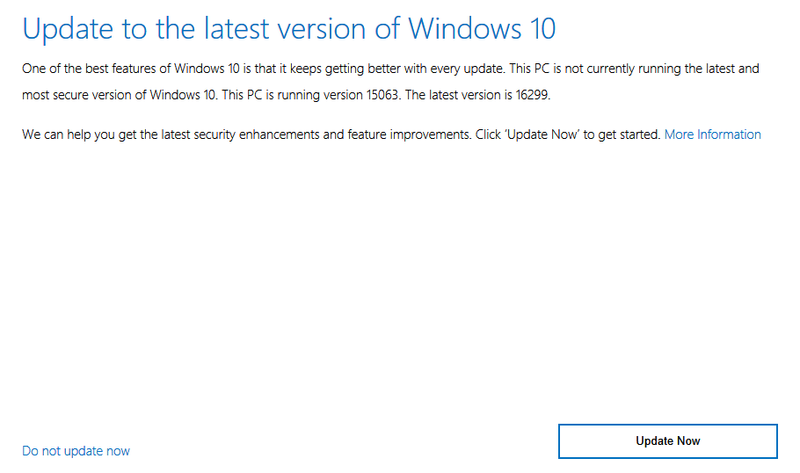 Microsoft has perfected the update process to make it as fast as possible without being too intrusive. The Update Assistant shows the following interface. 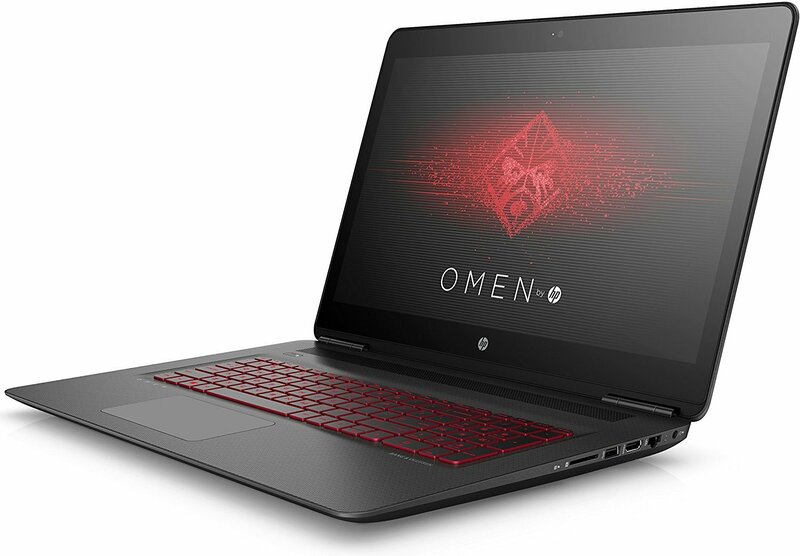 Once you click update now, it first checks for compatible hardware. When all checks are passed the assistant moves to installation. The progress is showed in the following manner. A minimise option is also given, though it does not take much time to complete the update. Once the update is finished, the following prompt is seen. Edge Browser also pops up to display the following message. Windows 10 Fall Creators Update is smooth and full featured update. There is no reason to hesitate with the manual update. Hardware compatibility is generous as it has installed easily on my five year old laptop. 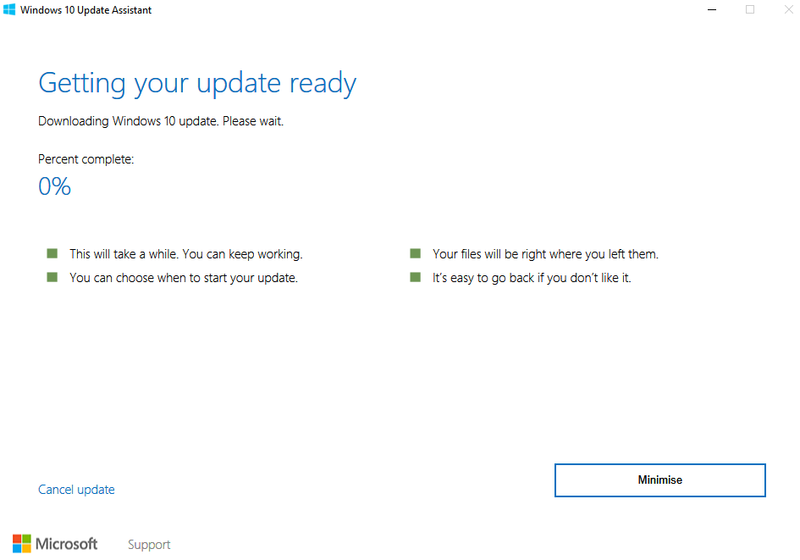 And if you are a fan of a Microsoft product, do you need a reason to wait for the automatic update.